I'm 27 years old. I've no money and no prospects. I'm already a burden to my parents. And I'm frightened. My jaw dropped as the scene with Charlotte Lucas from Pride and Prejudice echoed round the cinema. My name was Charlotte. I was 27. And I too, in Jane Austen speak, was yet to command a high price in the marriage market. It was almost as if the film was talking to me. I hadn't found The One Charlotte Ward had always believed that after a few serious boyfriends, some unsuitable encounters, and the odd broken heart, she would find the right guy and all would be happy ever after. However, towards the end of her 20s, it had become clear that finding this one was actually pretty tricky. In fact, she'd soon realized that every boyfriend she'd whipped into shape and then broken up with, had settled down with someone else almost immediately. The training that Charlotte had given them had set them up for life just not life with her. 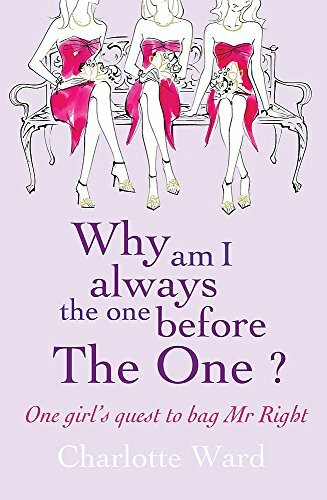 In this witty, intimate memoir, Charlotte shares her experiences and insights on dating, breaking up and starting over again. It wasn't an easy journey, but now happily settled with The Beau, has Charlotte finally reached the coveted status of The One?